How do you get India to bite into an All American Dining Experience? 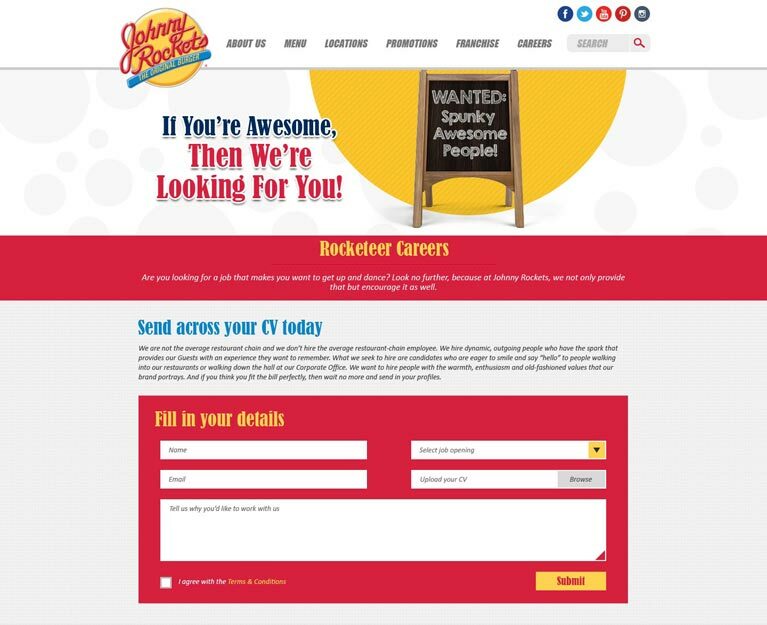 Johnny Rockets is a brand that has seeped through the crust of the American fast food culture to its very core, so much so that it has become synonymous with fine ‘fast’ dining. Its journey- from its origin to its instant success was a complete American dream and the uncomplicated goodness of classic Americana is an extension of that dream with a twist of fun. When they came to India, a lot of deliberation happened on their end so that they can create a tweaked personality of their existing culture that would appeal to the Indian consumers. They wanted to create an online forum for their physical stores in India, which would stay in line with the personality, which would reflect their culture in its entirety and not only with the American connotation attached to it. The website also required to be a perfect platform of interaction as well as a perfect canvas for their unique traditions and practices. The Classic American ambience was blended in with a light color tone to create a texture online that remained loyal to their international website yet gave a colloquial tone. The idea was to find a common faction between the American nature and the Indian nature and fit the brand in it while retaining its fun quotient. The brand's custom of singing and dancing played a huge role in the collusion of the culture into the Indian demography as, a country obsessed with Bollywood, there was a resonance to the act. This immediate connect was instituted in the website as well, the whole design brief that was followed was –'Keep it Groovy, Keep it Simple'. 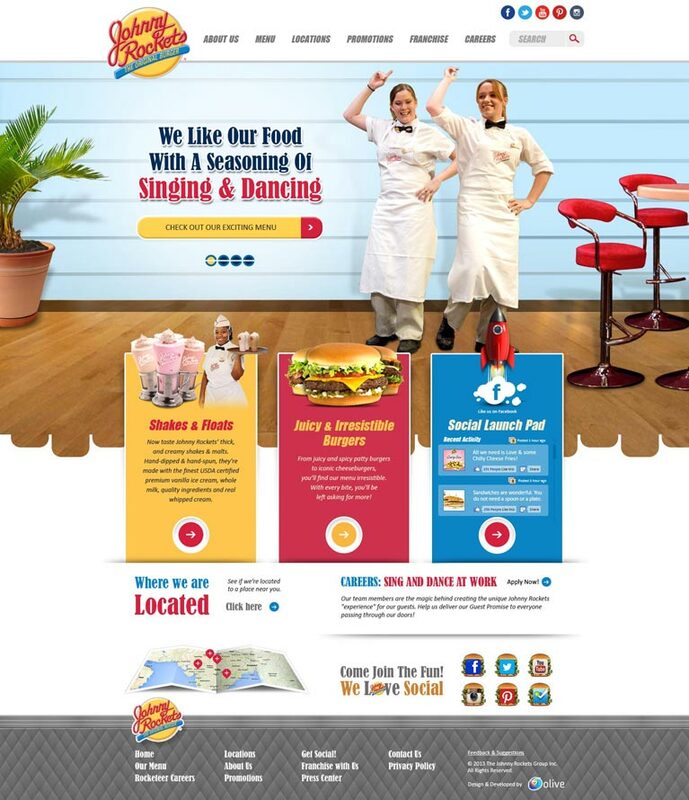 All the pages, right from their history to their career section, generates an image of the brand that has been made on two strong pillars – fun and great service, to serve one goal, bring 'Joy to Dining'. 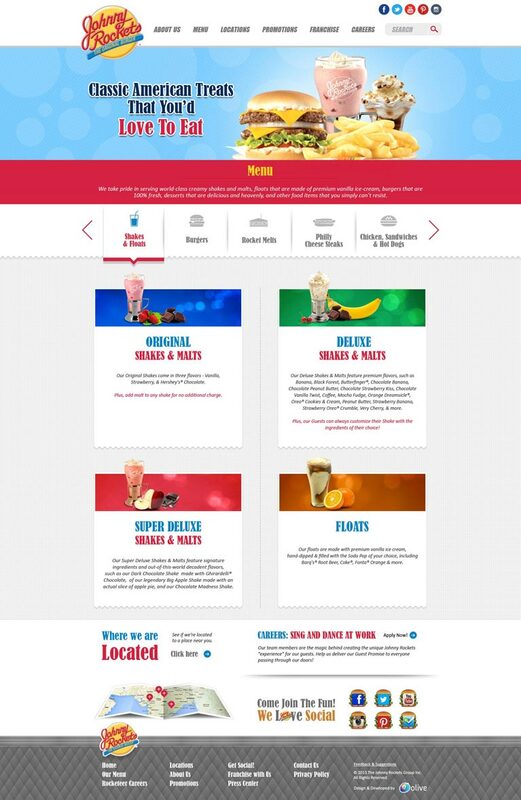 We were able to meet all their requirements of being an ‘American Diner in India’ with the fun factor intact, which is abundantly present in their outlets, online. The design, the content management and projection were carefully integrated to give that spontaneity to the whole website. Our association with Johnny Rockets has undoubtedly been one of the best till date.